Sales territory mapping can help your managers and salespeople understand customers and potentials in a particular area. Keep on reading to learn the benefits of mapping. Sales are the bread and butter of your business operation. Without them, you would have no business. So, it only makes sense to maximize your salesforce’s efforts. Fortunately, this is possible with sales territory mapping, an increasingly popular and important tool for sales organizations. Sales mapping can help your managers and salespeople to understand a certain area’s customers and potentials in great depth — if you do it correctly. 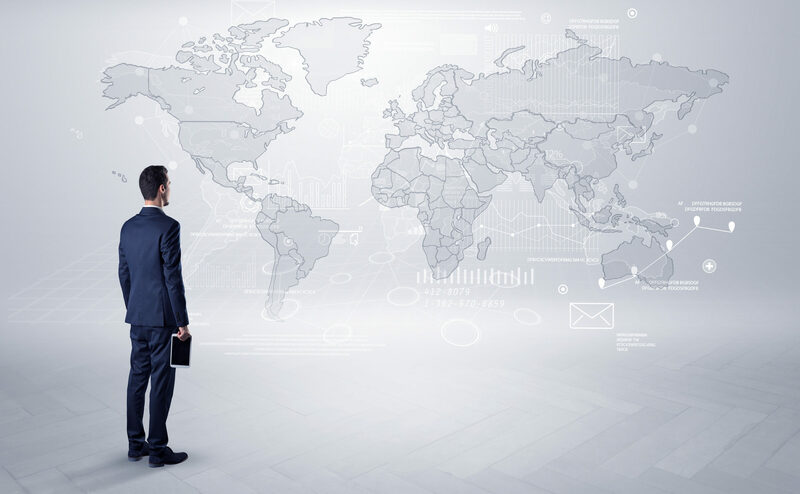 Here’s a rundown of six ways sales territory mapping can benefit your sales team and how to go about it the right way. When data related to sales territories are visualized with mapping software, a variety of analytical tools can be used for performance reporting and review purposes. Mapping software essentially allows for the aggregation of plotted data to provide a consolidated look at performance. You can import data from a spreadsheet, filter and segment data, and even isolate sales of below or above a particular value. With this handy tool, each of your salespeople can produce his or her own reports. Then, they can use these reports to analyze their territories and determine how well they’re performing based on certain targets and quotas. The best part is that these reports are easy to share with managers and colleagues alike. Maximizing how much time your sales team members spend selling on the ground is your company’s chief goal. That’s why sales territory mapping is so helpful: It helps you to balance your sales personnel’s workloads and thus provide them with more earning potential. The result? Happier employees who are known for their high morale. The more content your salespeople are, the more motivated they will be to continue selling for you. This, in turn, leads to a positive cycle of more sales and career satisfaction for them — and it’ll lead to decreased staff turnover for you. Another benefit of sales process mapping? It makes it possible for you to optimize your employees’ routes. This may decrease their travel costs, boost the number of clients they can serve in their territories, and enhance their fuel efficiency. Plus, when your sales team members’ territories are optimally aligned, you can move more quickly when a new opportunity arrives, thus beating your competitors to the next potential sale. With the data visualization capabilities of sales territory mapping, you can gain hidden insights that you may not readily see in a sea of black and white on a spreadsheet. For instance, you may be able to pinpoint an under-served or over-served territory more quickly. After all, a picture truly is worth a thousand words. Also, viewing a certain territory in various perspectives enables you to view the big picture but also the granular details your salespeople need. For instance, you can zoom in for more details about various market characteristics, including customer types, that could be influencing your team’s performance. Through sales mapping, sales team members can easily see the territories over which they are responsible — and so can their managers. This makes the delegation of work to sales team members effortless. For example, sales reps may see their individual territories in particular city suburbs. Or your regional manager may view all salespeople’s territories in your city. Meanwhile, your national sales manager may view all territories throughout the country and make sure that work is being delegated appropriately. Another reason to use sales mapping in your organization? In mere minutes, your sales team managers/members can turn their business data into useful maps. And they can access these maps anywhere and anytime on any internet-connected device. Plus, if you create your sales territory design with the help of effective mapping, your sales employees’ workloads will decline. This will ultimately free them up to make even more sales for you. Especially for a sales team whose members are located remotely, efficient collaboration is highly critical. Fortunately, today’s sales mapping makes it easy for team members to collaborate in real time on their territories’ definition. This is true even when some team members are in the field while others are in the office at a given time. For instance, national sales team members can add their data to territories each day. These data may include the latest leads or sales, for examples. Then, with this information, they can create updated and complete holistic views of their territories. Here’s a quick look at how to design sales territories using mapping tools. First, determine your existing customers’ and prospective customers’ locations to help establish your main territories. Next, assign employees to all regions, and keep evaluating your design’s effectiveness. Take into consideration control units, including metropolitan statistical areas, ZIP codes, cities, counties, and states, as well. Your managers will determine how often employees will visit every customer’s locale based on expected sales and the number of telephone calls needed to achieve these sales totals. The faster you can assign a sales representative a quota and territory, the better. After all, once representatives have their assignments, they can begin generating revenue for you. Remember to regularly revisit your territory design, too, as this will help to ensure that your business is getting the most out of its workforce. Also, if the demographics of an area change, be sure to make these changes to your company’s territories as soon as possible as well. We offer a top-notch tool for visualizing territories geographically. With our unique tool, you can import spreadsheet information or even sync phone contacts without a hitch. You can also visualize data using customizable pin options. In addition, we allow you to view nearby data in list form by using radial search. We furthermore enable you to add custom fields that will fit your company’s sales-data-related needs. Get in touch with us to find out more about how sales territory mapping can make your company a much more desirable place to work for sales representatives. Our high-quality technology solution can also make your business a more profitable and thus more desirable company to run in the weeks, months, and years ahead.